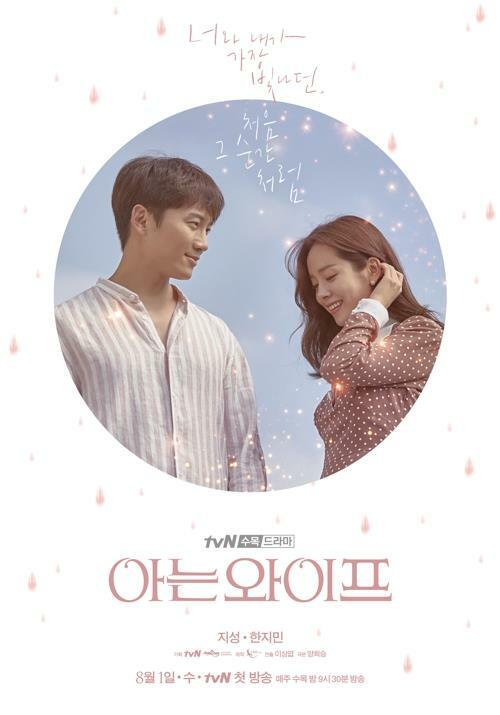 SEOUL, Aug. 8 (Yonhap) -- New fantasy romance "Familiar Wife" on cable channel tvN made a strong debut on the weekly TV chart, taking the No. 4 spot in its first week on air, data showed Wednesday. Featuring Ji Sung and Han Ji-in as a couple, the new series, which premiered on Aug. 1, recorded a score of 242.4 on the weekly Content Power Index (CPI) for July 30-Aug. 5. The show revolves around the over-familiar couple who've been married for five years after years of dating. Actor Han plays tough married woman Woo-jin, who has to juggle work, childrearing and taking care of her Alzheimer's-afflicted mother while Ji Sung plays the pathetic, henpecked husband. Suffering from a strained marriage, they start to wonder what might have been if they hadn't chosen each other. The Wednesday-Thursday shows received 4.7 and 5.5 percent in viewership ratings for its first and second episode, respectively. Meanwhile, the top spot went to cable music channel Mnet's new idol competition show, "Produce 48, which garnered a score of 284.4. "Mr. Sunshine," starring A-list actor Lee Byung-hun, came in second with 274.8, followed by "Life On Mars," the Korean version of the British TV show with the same name, with 246.9.